Success at the 2017 Portugal Junior and Cadet Open Guimarães on Thursday 23rd November, the concluding tournament on this year’s ITTF World Junior Circuit, witnesses major progress for on the Standings for Thailand’s Yanapong Panagitun and Belgium’s Lisa Lung, the respective winners of the Junior Boys’ Singles and Junior Girls’ Singles events. On the Boys’ Standings, Yanapong Panagitgun moves from no.14 to no.6 (2,725 points), on the counterpart Girls’ Standings, Lisa Lung advances from no.13 to no.2 (2,886 points). Meanwhile also making significant progress on the Girls’ Standings is Thailand’s Jinnipa Sawettabut, a semi-finalist in Portugal, she climbs from no.22 no.13 and, like both Yanapong Panagitgun and Lisa Lung is assured of an invitation to the ITTF World Junior Circuit Finals to be staged next February in Luxembourg. On the Boys’ Standings, India’s Manav Vikash Thakkar continues to lead the field (4,655 points), next in line is Frenchman, Bastien Rembert (3,430 points), followed by Russia’s Artur Abusev (3,110 points), Kanak Jha of the United States (2,950 points) and Argentina’s Francisco Sanchi (2,895 points). One place behind Yanapong Panagitgun is Chinese Taipei’s Feng Yi-Hsin (2,706 points). 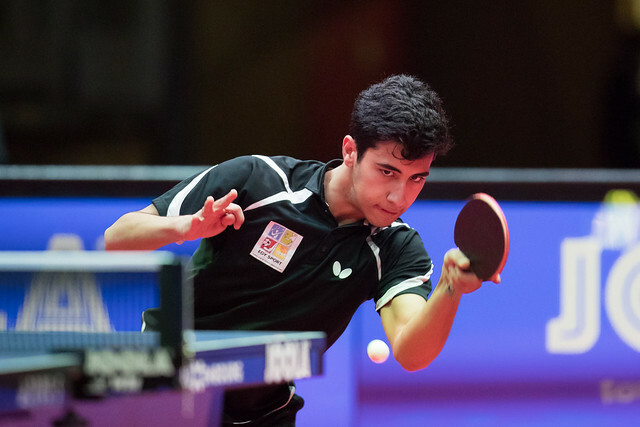 He is pursued by Romania’s Rares Sipos (2,331 points), Russia’s Denis Ivonin (2,090 points) and Sharon Alguetti, like Kanak Jha from the United States (2,090 points). Austria’s Maciej Kolodziejczyk (2,078 points) and India’s Manush Utpalbhai Shah (2,020 points) complete the top 12 names. They are all in positions to gain invitations for the Finals as is Romania’s Cristian Pletea at no.13 (1,866 points); all have met the criteria of competing in two continents. Each continent – Africa, Asia, Europe, Latin America, North America, Oceania – is eligible to be represented by a minimum one player in each of the Boys’ Singles and Girls’ Singles events at the Finals. Also the host association, Luxembourg has the option to field one representative in the 16 players. Notably, the leading boy from Oceania is Australia’s Rohan Dhooria at no.32 (1,330 points), the highest rated from Africa is Youssef Abdel-Aziz at no.40 (1,150 points). Add one representative from Luxembourg and the players to receive invites to the Finals is realised. Meanwhile, on the Girls’ Standings, Japan’s Maki Shiomi (5,200 points) continues to head the list (5,200 points); next in line to Lisa Lung of those players who have met the two continent criteria is India’s Selena Selvakumar (2,542 points) pursued by Japan’s Miyu Nagasaki (2,450 points),Hong Kong’s Wong Chin Yau (2,380 points) and Romania’s Adina Diaconu (2,230 points). Next in the eligible order of merit is Chinese Taipei’s Chen Ting-Ting (2,191 points), Amy Wang of the United States (2,040 points). Also from Chinese Taipei, Su Pei-Ling (1,964 points), India’s Archana Girish Kamath (1,817 points) and Hong Kong’s Chau Wing Sze are all above the cut-off line. It is a situation that also applies to Yumeno Soma but a maximum of two players per national association is permitted to compete in the Finals; she is the third rated Japanese player on the list. The highest rated girl from Africa to have met the two continent criteria is Egypt’s Marwa Alhodaby at no.51 (860 points), for Latin America it is Argentina’s Camila Kaizoji at no.74 (600 points). No girl from Oceania has met the two appearance requirement; the leading name from the continent is Australia’s Michelle Wu at no.61 (700 points), on her one appearance of the year she was the runner up on home soil in Tweed Heads. An official list of invitations will be announced shortly.